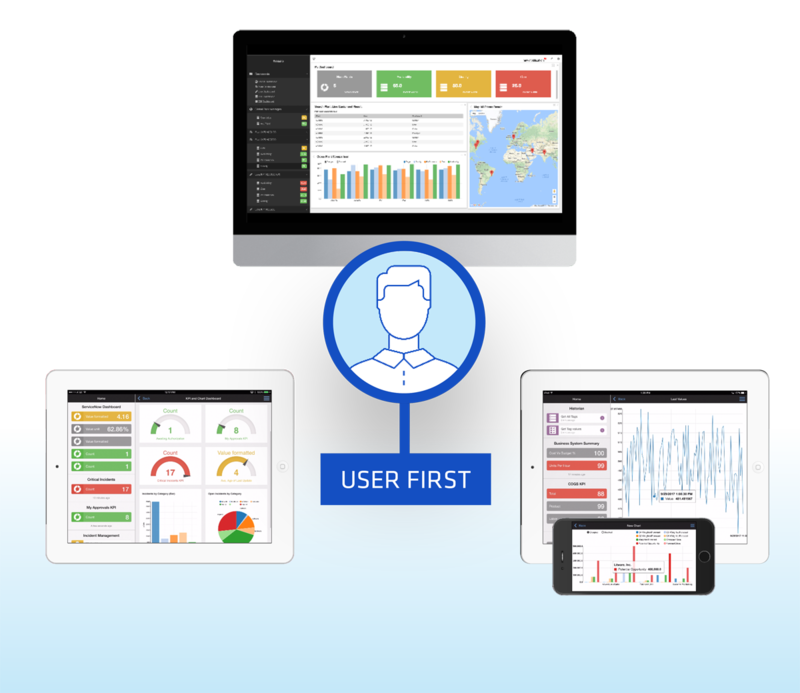 Webalo provides the app generation infrastructure for companies to transform into User First™ organizations, where each user has just the information they need, on their device, to help them get their job done. Webalo’s platform is easily used by business operations teams to generate personalized, actionable apps that make the frontline workforce more productive by simplifying their daily tasks and workflows. 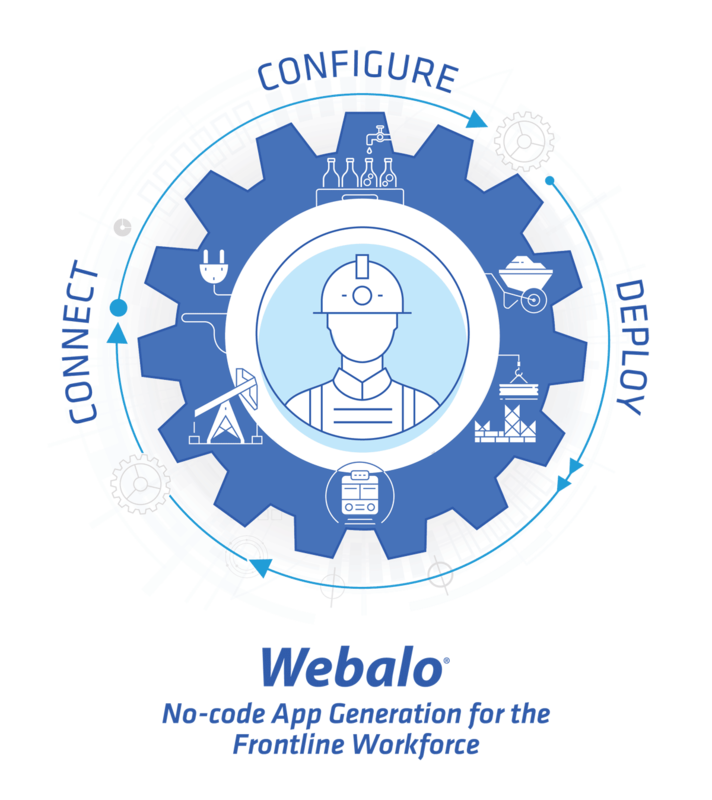 Webalo helps the frontline workforce make better and more informed decisions by rapidly democratizing data for useful consumption, enabling more effective digital transformation initiatives that will increase business productivity and drive bottom-line growth. 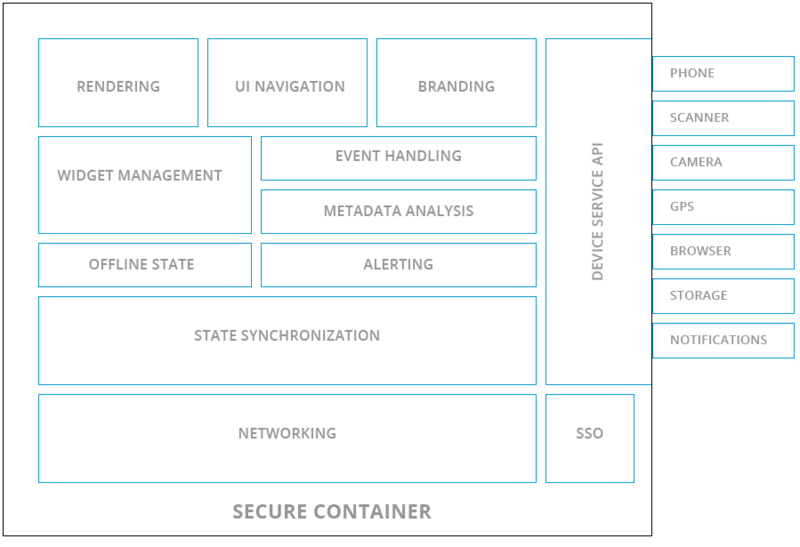 Just connect, configure and deploy! Webalo Client is both mobile and desktop enabled, and is a role-based way of visualizing and interacting with Webalo Platform-generated apps. 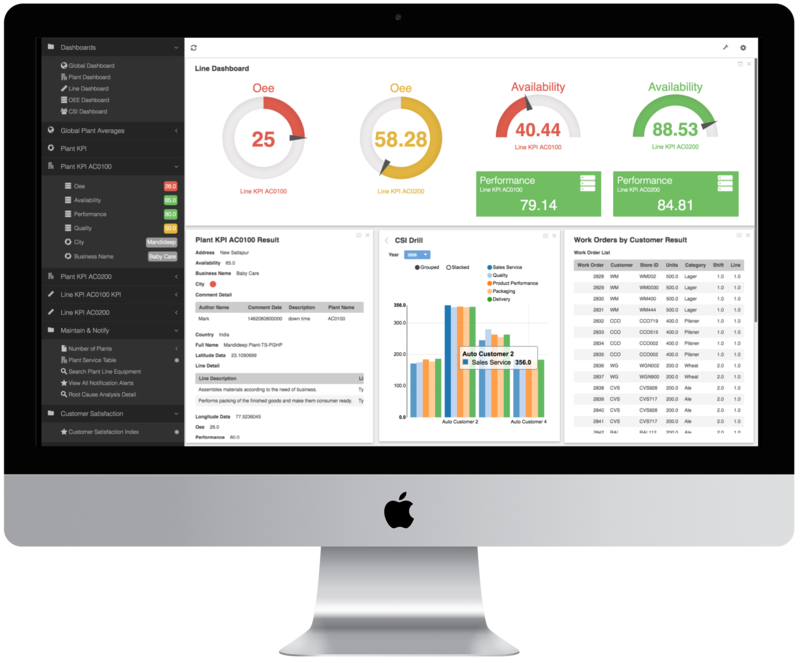 Display forms, KPIs, Charts and Dashboards within an interactive, simple to use format. Webalo Client is available for iOS and Android platforms, downloadable on the Apple App store and Google Play. 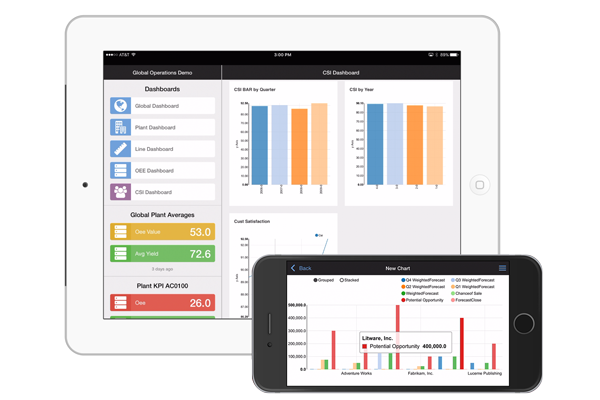 Mobile forms-based apps allow data entry, barcode scanning, offline capture & analysis. Client infrastructure is shared on all platforms (mobile, desktop) providing a consistent user experience. Client adapts its UI and navigation mode to fit available space & resolutions. 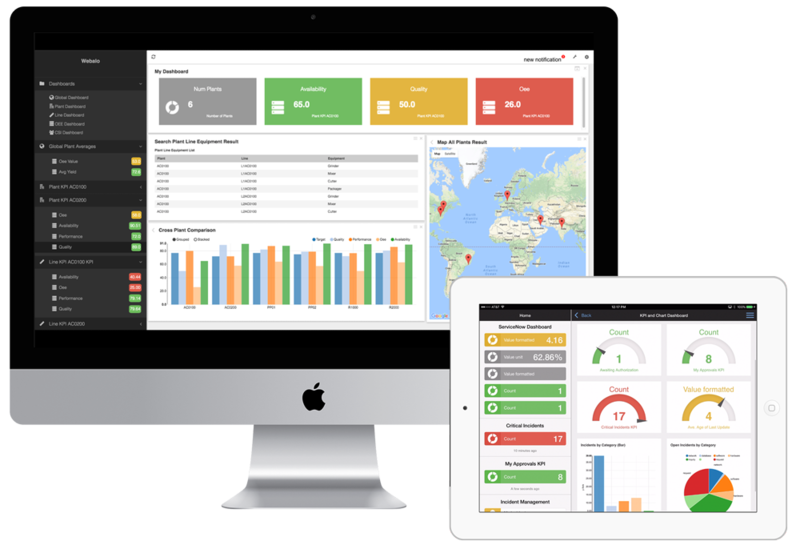 Automatically-generated UI includes widgets, tables, charts, dashboards, interactive maps, menus, navigation, event handling & alerting. Power Users can customize the Client UI, composing their own dashboards; creating & configuring custom charts on the fly; dynamically ‘mashing up’ data from multiple sources, customizing the layout of the home screen, and much more. Client can function offline (without network connectivity) to accommodate spotty connections on the shop floor. It switches to a ‘store and forward’ mode to later relay to the server when connectivity resumes. Connect Webalo to your enterprise and industrial data sources through a broad range of included connectors. Configure and automatically generate your applications through a simple, no-code, step-by-step configuration process, using Webalo’s Administrative Website. Access the Webalo Platform through a cloud service or installed behind your firewall, as a virtual appliance. Deploy your automatically generated apps to Android & Apple smartphones and tablets as well as to Chrome, Firefox, Edge & Safari browsers on desktops and large screen displays. Enterprise-grade: Webalo-generated apps are available, scalable and secure with cloud and behind-the-firewall deployment options for both desktop and mobile. Webalo security features include mobile authentication, encryption & transport; automatic failover (cloud-based), auto backup and logging.